The Overbed Table with Plastic Top from Drive Medical gives you a stable surface for eating, working or entertainment. 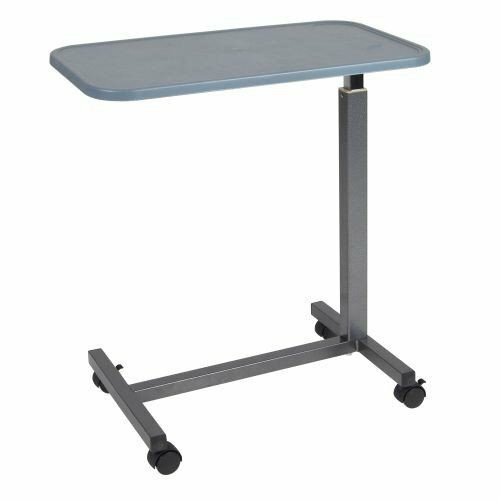 The height of the durable tabletop is infinitely adjustable and can be angled to place it in the ideal position for you. Plus, the plastic top will never crack or peel like laminated table tops. It even has convenient areas for placing drinks and a lip around the edge to contain spills. And the Overbed Table's caster wheels make it easy to maneuver.